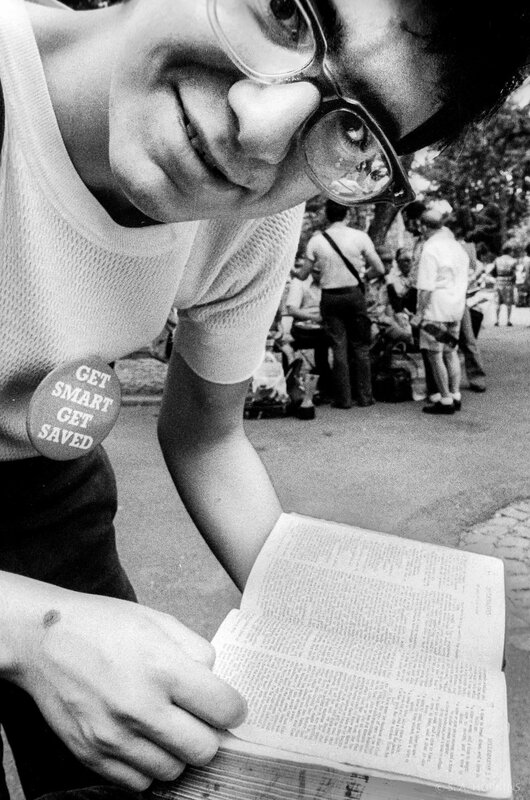 This is from Washington Square in New York City, circa 1976. The photos just seemed to find me back then. I shot a lot of Tri-X on my trusty Olympus OM-1 in those days. I usually printed on Kodak Polycontrast F paper. (By the way, I was not saved).